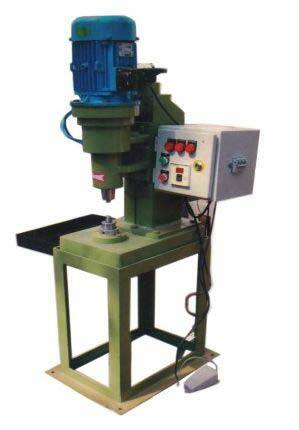 Jeet Machine Tools Corporation Spin Riveting Machines are designed in compliance with highest quality standards. It provide performance with unfailing speed, accuracy & consistent repeatability and its quiet electric motors and other parts drive the silent orbital movement of the tool holder. The Spin Riveting Machines using suitable tools can flare, flange, join & swage and many other activities as their work functionality. Pressure for head forming is generated by either pneumatic power or hydraulic power & is fully adjustable as per the requirement.